Few issues in the study of the NT canon have generated more discussion (and disagreement) than that of the canon’s date. When were Christian writings first regarded as “Scripture”? When was the first time we can see that happening? For many modern scholars, the key time is the end of the second century. Only then, largely due to the influence of Irenaeus, were these books first regarded as Scripture. The first part of this quote comes from Deut 25:4, but where does the second part come from? There is one text, and one text only, that matches these words, namely the statement of Jesus in Luke 10:7. 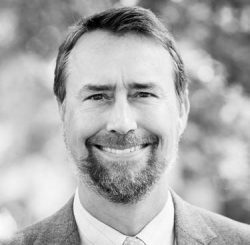 Could 1 Timothy be citing Luke’s Gospel as Scripture? 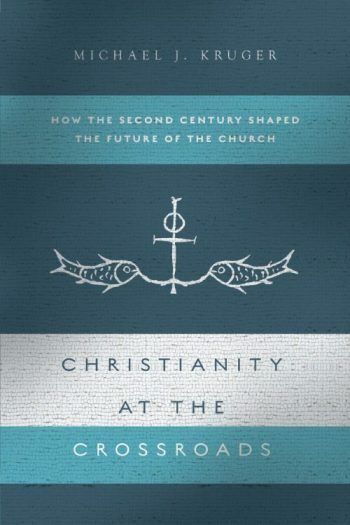 I explore this issue extensively in my recent article, “First Timothy 5:18 and Early Canon Consciousness: Reconsidering a Problematic Text,” which appears in the new festschrift for my friend Stan Porter: The Language and Literature of the New Testament: Essays in Honor of Stanley E. Porter’s 60th Birthday, eds. Lois K. Fuller Dow, Craig A. Evans, Andrew W. Pitts (Leiden, E.J. Brill: 2017): 680-700. What surprised me as I wrote this article is how few books on canon (or other books for that matter) address 1 Tim 5:18. Of the standard canonical works by Metzger, Bruce, Gamble, McDonald, and Patzia, the only one who even mentions it is Bruce. And he only offers a couple of sentences about it. So hopefully this article will fill a lacuna in the study of the NT canon. The cost of the volume is only $271, so if you are behind on your Christmas shopping here is a great stocking stuffer! Well, if you do somehow get your hands on a copy (perhaps after winning the lottery), then you should also check out the other fine essays in the volume. There are 32 chapters with contributions from scholar such as Darrell Bock, Eckhard Schnabel, James D.G. Dunn, Nicholas Perrin, Stephen Westerholm, Craig Keener, Craig Evans, Chuck Hill, and Craig Blomberg. And this honor for Stan Porter is well deserved. His scholarship (and, for me, also his friendship) has been an encouragement to all in the world of biblical studies. Great stuff, Doc! Thanks for sharing this. I plan on incorporating this into a class on apologetics I’m teaching. Is there a link to your article? I will start hoping the lottery if not! I discovered your blog a few weeks ago. It is a wealth of information. I’m loving it. Kep up the good work. Would the quoting of Luke 10:7 indicate that Luke was written before Paul wrote to Timothy? It’s hard to say. As 1Tim is probably pseudonymous and written long after Paul died, it is quite possibly a direct quote. And if it is a quote of Luke, then since Luke wasn’t written until some time after AD 70 (after Paul died) then this would mean 1Tim must be pseudonymous as scholars widely believe. On the other hand, the comment is brief enough that it may not actually be a quotation of Luke. Or it may be a quotation of the hypothetical lost Gospel Q.
Additionally, many, many scholars believe that Paul did write 1 Timothy, and wrote it after the Gospel of Luke was written. First, the authorship I Timothy, let alone the rest of the Pastoral Epistles, are considered by the early church to have been by Paul; even Marcion accepted them as such. Some of these arguments as to dating and authorship tie together since Luke-Acts are ca. 61-64 AD. The dating of the Pastorals would also depend on the issue of one or two imprisonments of Paul. The first imprisonment would then be ca. 59-61 AD as the latter chapters of Acts show especially the two years under house arrest. The second imprisonment would have been after the destruction of Rome by fire under Nero. This would be ca. 64-67 AD. Thus, I Timothy would be ca. 61 AD after Luke had been written, There is a lot more to this discussion, but that is the summary that I have researched on. BTW, Papias, Irenaeus, and other post-Apostolic Fathers would have noted any problems with Pauline authorship. Yes that’s the text that first comes to mind for me. If Peter calls Paul’s writings ‘scripture’ then besides a very early date for regarding NT as Scripture it requires one to disregard Simon/Simeon/Peter/Cephas/Andrew’s Brother/the original Pope if one doesn’t think Paul’s writings should be canonical disputes their authority. One of the problems with most of the epistles that were a little later being accepted by the church as a whole, e.g. II Peter, Jude, II & III John, is that there is a tendency to put the dating into the Second Century; even the gospels are argued to be written in the Second Century AD. The issue is did Peter, Paul, etc. write the letters and Gospels attributed to them by the early church and Apostolic Fathers as being written in the First Century or not? If they are Second Century documents, then they are on the same level of authority that the Gnostic documents. This, therefore, makes them texts that are arbitrarily set as canon. ALL Gnostic documents are from the mid-Second Century or later. On the other hand, if the texts are First Century documents that reflect the Jewish Culture of the First Century (Gospel and Acts) and Greco-Roman Cultures (Acts, Epistles and Revelation), then they are not arbitrarily assigned as canonical. “Festchrift” must be the German word for “far too expensive for a small church pastor to afford.” I’d love to read your chapter, but just don’t have “only $271” sitting around. Any chance that it would appear on the bargain shelf in the near future? Santa wrote back and said that I had been nice this year…but not THAT nice. Who knew that a little tap of the horn at an intersection months ago would cost me so much? 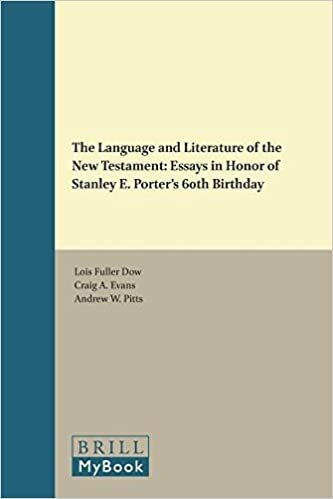 Powell’s Books (via Amazon.com) will have “The Language and Literature of the New Testament: Essays in Honor of Stanley E. Porter’s 60th Birthday” for “only” $189.95 (plus $3.99 shipping) beginning Jan. 3, 2017.